The available choices you have when searching for the best free blog sites to start a blog, can be increasingly overwhelming for the new comer, now days. That’s why I created this blog post to help you identify which one of the best free blog sites, suits you the most and why you might want to re-think about a paid blog platform solution. New blog platform solutions come up with their own message almost monthly. However there are very few best free blog sites, people trust and use throughout the years. Personally I really love & use this all-in-one blogging solution for years now. Indeed WordPress can be thought as the king when it comes to the best free blog sites available now. It is the most popular blog platform in the blogging world. WordPress has two versions. One can be found on WordPress.com which is self hosted and has pretty basic abilities and permissions to customize anything on your blog. If you are looking for a totally amateur solution with limited expansion abilities this is your choice. On the other hand WordPress.org is an external hosted (meaning you will need to have a hosting plan on a server and a domain name) solution that has amazing customization abilities, themes, plugins and a huge support from the community, for anything you might dream of. This is the choice you want to follow if you are starting a blog for the long-term and want to have unlimited expansion options. It is included in the best free blog sites because it’s free to use but has a lot of external costs in the process. This can be thought as the solution for the Google ecosystem geek guy. You know the one that can not do without a Google app or tool (this sounds a lot like me…lol…however I choose a simple, powerful and affordable: all-in-one complete solution for my blog). Blogger is included in this best free blog sites compilation cause it’s really easy for someone who already has a Google account to activate it. However, be cautious. Behind Bloggers‘ neat appearance hides a blog platform that requires you to tweak it’s HTML to make it work. It behaves correctly only with Google apps & widgets plus it is so limited in terms of monetization, customization and content you can publish there cause it is owned by “mother” Google…Ginny Soskey from Shareaholic has a great guide about how to choose the best platform for your blog, you can also go and check to learn more about the best free blog sites. Tumblr is very user-friendly with SMS, mobile, email and more publishing options as well as extremely easy to manage and work user interface. However it’s not suitable for text oriented posts and has practically no ability to go deeper with your customizations and plugins – besides changing your theme. In my opinion this simple, powerful and affordable: all-in-one complete solution would be the best for a beginner. First things first, Quora is not exactly a blog platform. Quora is taken as a type of blogging platform and that’s the reason i included it in this best free blog sites compilation. You can identify Quora as an online forum that aggregates questions and answers to specific topics. It practically connects people with knowledge and credibility to people who search answers online. Here is a way to monetize your knowledge using your blog. Don’t get disappointed thought cause Quora includes a free blogging platform (with no customization options however) for you to begin building your online authority and following. It’s also a great choice to find potential readers and find what topics are worth pursuing for your future blog posts. Kayla Matthews wrote a great post about using Quora to grow your personal blog here. 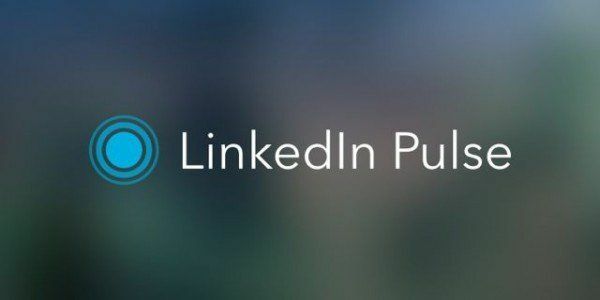 LinkedIn’s recent addition named Pulse is a publishing platform, similar to guest posting and using it you can reach up to 350 million of the high quality professional members in LinkedIn. Thus the title “the guest posting alternative to best free blog sites”. It’s an alternative to blogging that can help you build authority and expand to professional audience. Here is a great article by Brian Lang on Blogging Wizard that explains how to use LinkedIn Pulse. Using LinkedIn Pulse you can reach a lot more people who you would not be able to do so through guest blogging or social media. Another good thing is that here your posts get instantly approved meaning no more waiting for long periods of time for your guest post to be approved. Also LinkedIn Pulse readers prefer reading smaller articles under 1000 words making it easier for a new comer to start posting without the need to get into tons of details and analysis. However, don’t forget that you don’t own the content you put there and you have no way to customize or brand anything on LinkedIn’s service although it’s included in the best free blog sites compilation. Here is a simple, powerful and affordable: all-in-one complete solution that will make your blogging career a lot easier. I’m pretty sure that your jaw dropped down open now, right? Yes that’s true my friend, you heard correct and to make it even better, it comes optimized for the beginner blogger to set up a new blog and have it running in less than 10 mins. Here is a full description of the Kalatu blog platform on another blog post I made recently. 7 easy to use blog post templates – meaning no more brainstorming for what to blog about today…you have the blog post template ready and you only need to answer several questions and hit the publish button. Embedded attention grabbing Call to Actions – meaning no more brainstorming about how to create the correct button or image to ask your readers to take action. WordPress 4.0+ cutting edge version with tons of customized plugins + different language versions for your pleasure. That’s why best free blog sites stand no chance in front of Kalatu.